Thank you!. 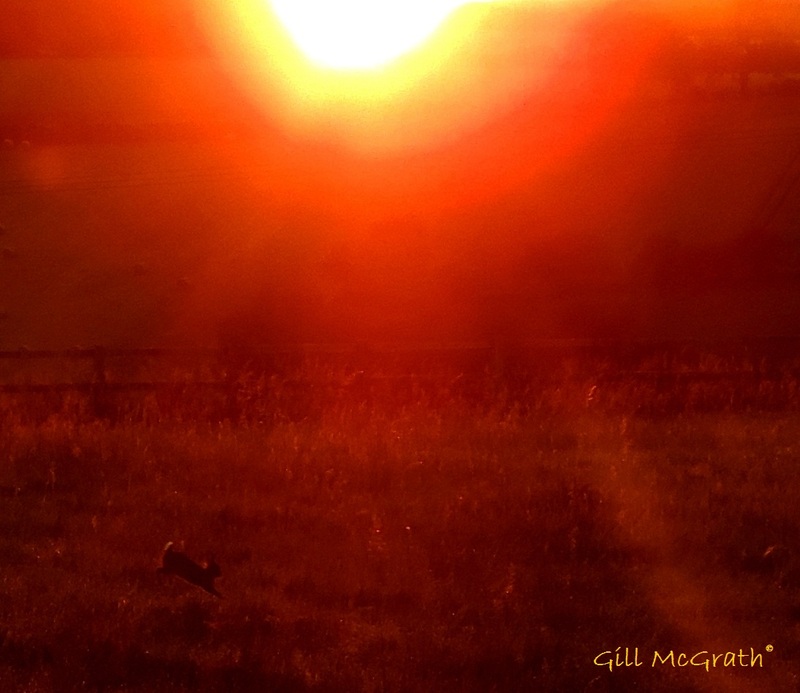 The rabbits were in the field where the sun was rising. I tried to get a shot of one on them who ran and he ran right in front of the sun! !